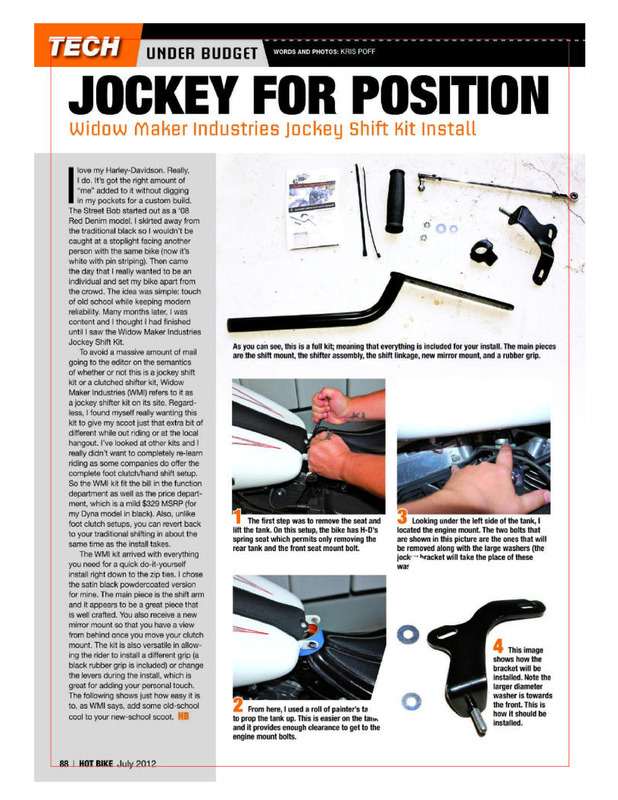 The Editor-In-Chief of Hot Bike Magazine, Eric Ellis, contacted Widow Maker Industries, LLC for a WMI jockey shift kit to be installed on their Dyna build. They installed the kit and were very complimentary about our product. 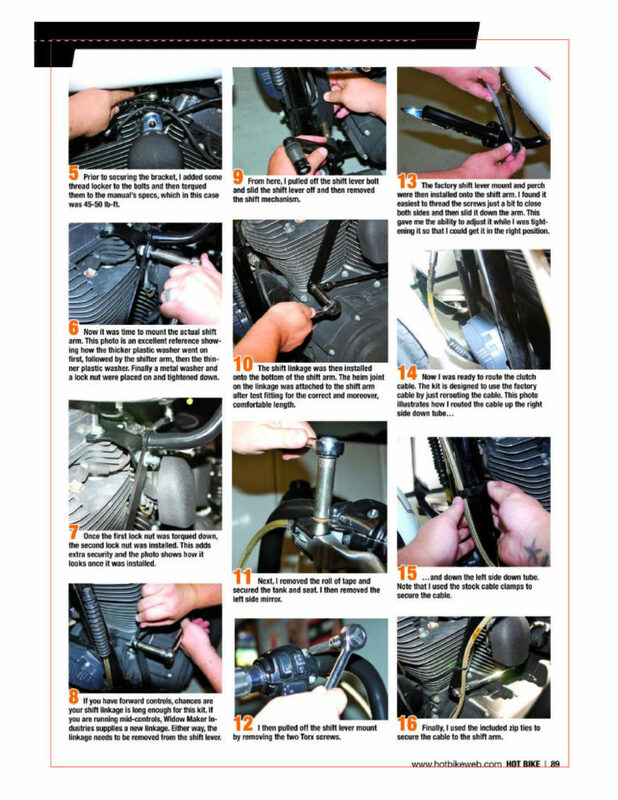 The article (see below) shows the complete installation process. 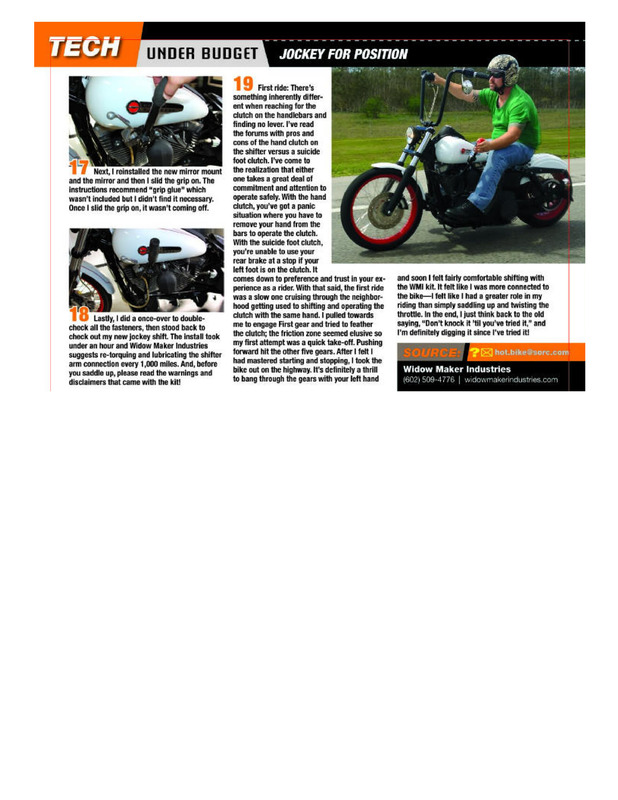 The 3-page article will be in Hot Bikes Magazine’s July issue – on news stands in May 2012. You may need to scroll to read all 3- pages.